Location - Located to the South West of the central city, the Park is located on Neilson St Onehunga. It's nestled nicely between the Manukau airport motorway and the Southern Motorway. The track is accessible via either route. Parking - A carpark is located behind the main grandstand. It has one entrance in and one out. It is not conducive to a quick exit as the majority of fans spill over into this area. There is a further area behind this carpark which comes highly recommended. Do not park in the cemetary. The gates to the cemetary are closed during the meeting regardless of whether cars are parked in the cemetary or not! 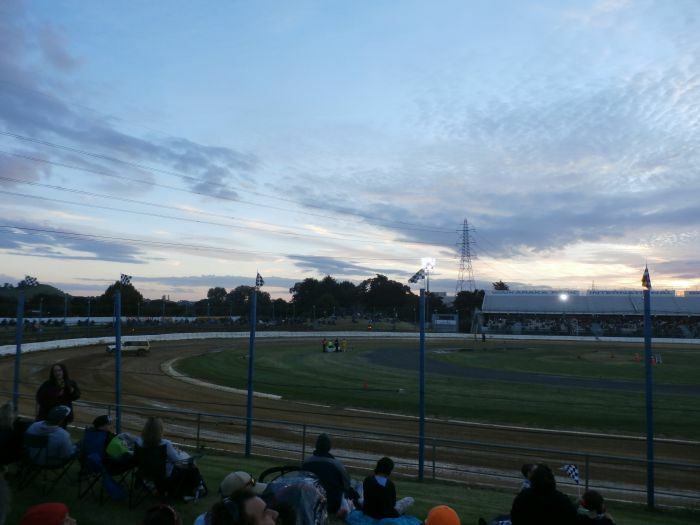 Premiere Meeting - The Superstock Teams Nationals pit six to eight of the top teams over two nights. 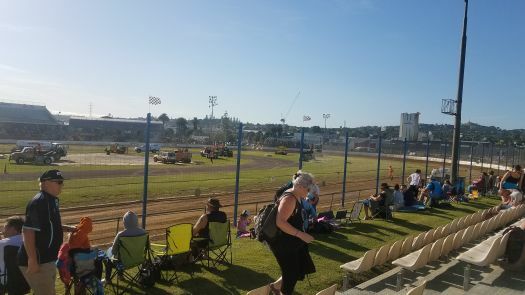 The event is usually attended by the top teams of recent years, Palmerston North Panthers and Gisborne Giants. The event is usually held on the first weekend in March. 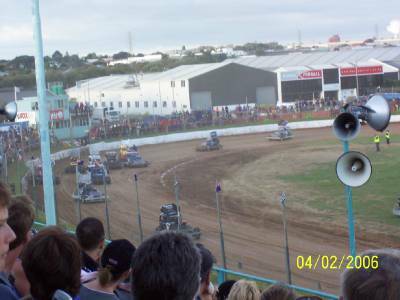 Also worth attending - Modified Super Dirt Cup is the premiere Modifed title outside the SNZ championships. The Dirt Cup has a long and proud history. In recent times it has lost some of the gloss but the current committee look to be getting the event back to where it was. 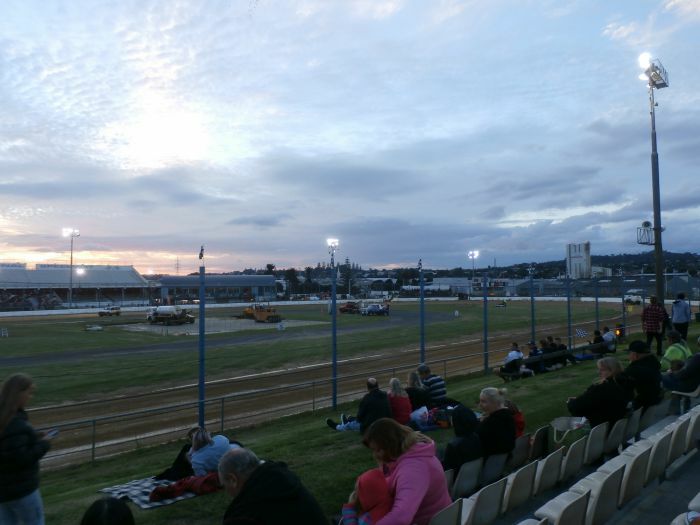 Best spot to sit - Unfortunately the main grandstand had been condemned. 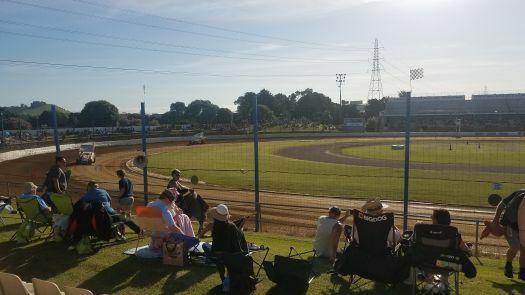 As a result Waikaraka Park has become one of the worst viewing tracks in New Zealand. I have yet to find a spot with an unobstructed view of the track. 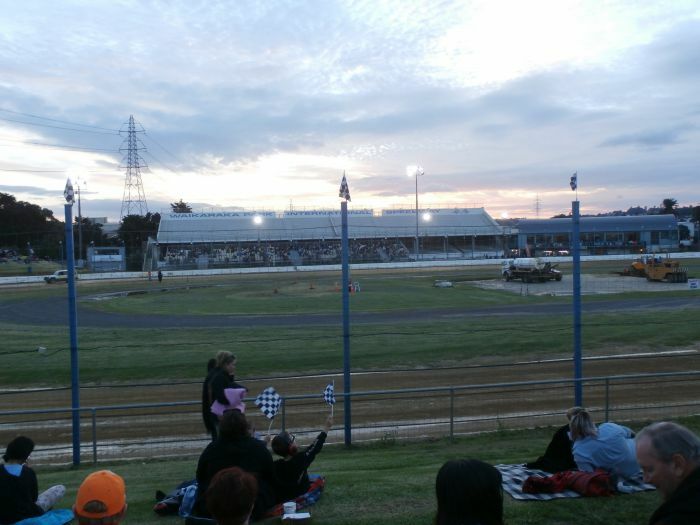 It's a shame because when the grandstand was open Waikaraka Park was in my mind the best viewing track in the country. 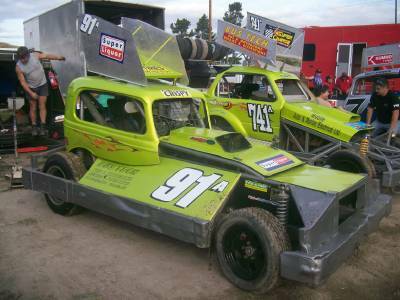 Classes run - Youth Ministocks, Stockcars, Superstocks, Streetstocks, Saloons, Super Saloons, Modifieds, Six Shooters. Uniqueness - Waikaraka is the longest SNZ track in the country with a 461 metre pole line. It is also a very unique shape. Cemetary Bend visually appears the tighter of the two Bends. The normal line is a high entry with a low exit. Pit bend on the other hand is visually a wider corner. A low entry and wide exit is often the preferred line through this corner. Due to it's shape the track still races relatively well when the track goes slick.